This SpotView NewsLetter #4 presents some technologies and innovative solutions developed for improving ressource efficiency of industrial processes (Paper and Steel sectors). The technologies are applied for recycling process water or purifying alternative water sources. This third SpotView NewsLetter presents the list of water management strategies and technologies assessed after mid-term of the SpotView project (October 2016 to March 2020) and details some of the Key Exploitable Results (KER) and Exploitation Strategy. The Workshop Programme with venue information and registration form are now available !! Participants can also submit posters proposals before August 31. This WorkShop is organized by SpotView Partners. This second SpotView NewsLetter details some of the methodologies and tools to be used during the project for the simulation and assessment of new technologies integrated in industrial processes. 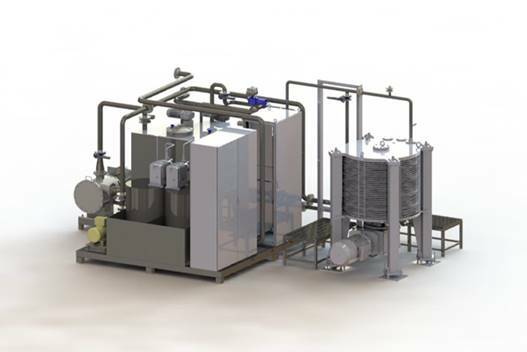 Valmet Technologies Inc. has developed a new CR ultrafilter for tissue mills. It is based on the well proven BAT OptiCycle W technology used for years to produce high quality ultrapure water for the paper machine’s wire and press section showers to decrease the fresh water consumption by 1-2 m3/t paper. The flyer is available on the INSPIREWATER website (https://www.spire2030.eu/inspirewater# ), where you can also find the registration form. Participation is free of charge, but all, also project partners, need to register via the registration form. The first SpotView NewLetter details six of the existing and new technologies currently assessed at laboratory or pilot scale during the first phase of the project, before on-site demonstration by the four dairy, paper and steel industrial partners. The SpotView Project is under way, with the Month 6 Work Packages Committee meetings taking place on April 5th and 6th at Centre Technique du Papier, Grenoble, France. The Coordinator (CTP) introduced the project Management Deliverables: Quality Management Plan, IPR Management Procedure and Project dissemination Toolkit (including SpotView public website, Extranet, official logos and templates for reporting and dissemination). Collaboration between partners is in progress in the WP2: Technologies components testing in realistic environment, organized in specific subtasks. Environmental and techno-economic evaluation, impact and exploitation of the project results will be managed in WP5 and WP6, in relation with H2020 and SPIRE (Impact workshop on the cPPPs in Horizon 2020 - Brussels, 17 May). The European SpotView Project – “Sustainable Processes and Optimized Technologies for Industrially Efficient Water Usage” – has just got underway, with the kick-off meeting taking place on 13th October at the EC R&D Commission in Brussels. 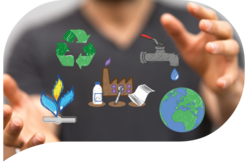 The objective of the SpotView project is to develop and demonstrate innovative, sustainable and efficient processes and technology components in order to optimize the use of natural resources, especially water, in three industrial sectors (Dairy, Pulp and Paper, and Steel). 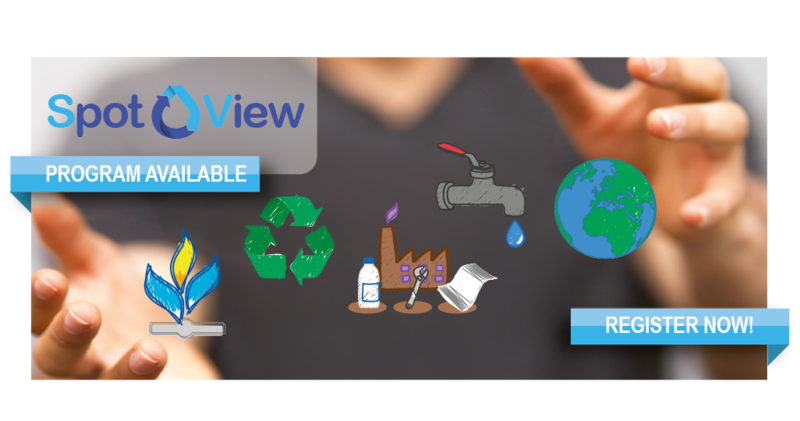 News #1 SpotView: a new industrial partnership to improve water efficiency! The SpotView project “Sustainable Processes and Optimized Technologies for Industrially Efficient Water Usage” was selected among 15 proposals in the H2020 SPIRE-01-2016 call for projects: “Systematic approaches for resource-efficient water management systems in process industries”. This project has received funding from the European Union’s Horizon 2020 research and innovation programme under grant agreement No 723577. The objective of the European SpotView project –is to develop and demonstrate innovative, sustainable and efficient processes and technology components in order to optimize the use of natural resources, especially water, in three industrial sectors (Dairy, Pulp and Paper, and Steel). CTP is coordinating a multi-industrial consortium of 15 partners including 5 Research and Technology Organizations, 4 small or medium enterprises and 6 industrial groups from 9 European countries.